Ludogorets Razgrad receive good news ahead of Champions League clash with Liverpool, the Bulgarian champions allowed to sign goalkeeper Milan Borjan. Liverpool’s Champions League opponents PFC Ludogorets Razgrad have been given a timely boost ahead of their clash with Brendan Rodger’s side this week, with TuttoMercato reporting that they have been allowed to bring in Canadian goalkeeper Milan Borjan. Emre Can Injury: Emre Can looks in serious pain as he hobbles away on crutches. Mourinho Hails Fabregas & Costa: Jose Mourinho hails Cesc Fabregas and Diego Costa dream team. Gerrard Jealous Of Manchester United: Steven Gerrard admits being jealous of Manchester United and Chelsea. The Bulgarian champions have been allowed to bring free agent Borjan in despite the transfer window already having closed, a position they badly needed strengthening after both their senior goalkeepers were ruled out of the tie. Ivan Cvorovic has been ruled out due to injury, and Vladislav Stoyanov is banned after committing a professional foul in the last minute of extra time against Steaua Bucharest. Ludogorets still went on to win a penalty shoot-out against the Romanians, despite centre back Cosmin Moti deputising for Stoyanov. Liverpool are set to host the unlikely Champions League participants tomorrow evening, which will signal the Merseyside club’s first appearance in the competition since the 2009/10 season. 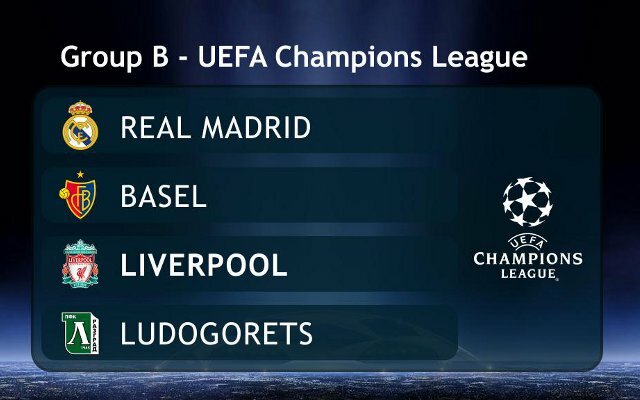 Ludogorets will be playing their first ever Champions League game, a very tough fixture for the European new boys. Liverpool will be hoping for an easy win, with this match being a perfect way to forget about their shock home loss against Aston Villa on the weekend.